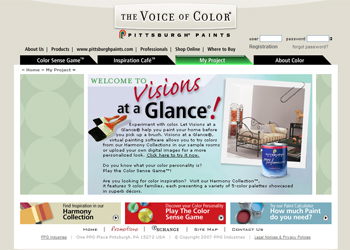 Bringing together two trusted and respected brands in 2015 – Devoe® Paint and PPG Pittsburgh Paints - the PPG Pittsburgh Paints® brand offers over 300 years of combined tradition, expertise and knowledge. We are committed to providing homeowners and professionals with the highest quality products and services, including the industry-leading PPG The Voice of Color® program. Our products are available only at independent, locally-owned paint retailers because great paint deserves great service and expertise. We value these communities and are proud to have our paint bought by neighbors from their neighbors.